Mark Waldhoff is Vice-Chair of the DSC Board and a Real Estate Broker at Keller-Williams Realty. 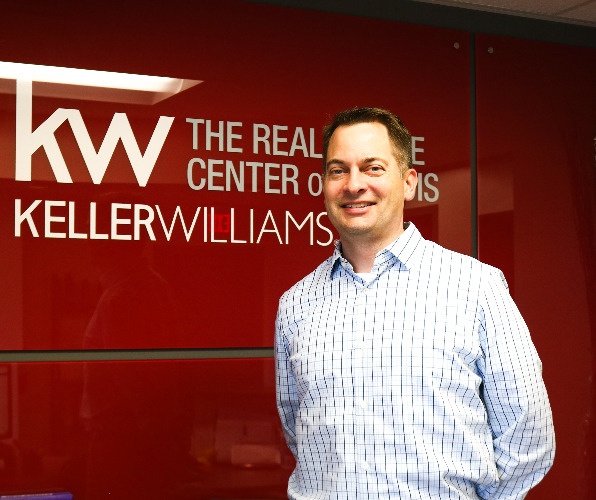 One of Mark’s first connections with DSC was through participating in volunteer service projects with Keller-Williams Realty. Every spring, Keller-Williams selects a non-profit to be the recipient of an employee volunteer event called the Keller-Williams Red Day of Service. DSC has been chosen as the beneficiary twice. Mark also knew Susie Morrissey, wife of DSC CEO, Dale Morrissey through another Keller-Williams agent, Scott Bechtel. It was through those friendships and days painting and doing yardwork with his co-workers that a relationship was formed between DSC and Mark. In 2012, Mark was asked to join the DSC board. Mark continues to volunteer to with DSC by participating in DSC events such as C-U Oktoberfest and C-U in the Prairibbean, as well as holiday parties for the people who receive DSC services. “One of the things that really stands out to me about my involvement with DSC is that the mission is visible and tangible. When I’m around the employees I’m always impressed at how well they know each other. It’s like a family,” said Mark. Mark is married to wife Kacy, has two daughters, Tessa who is 13 and Lauren who is 11. He enjoys spending time with his family, playing golf and Cardinals baseball.